The day has finally arrived! 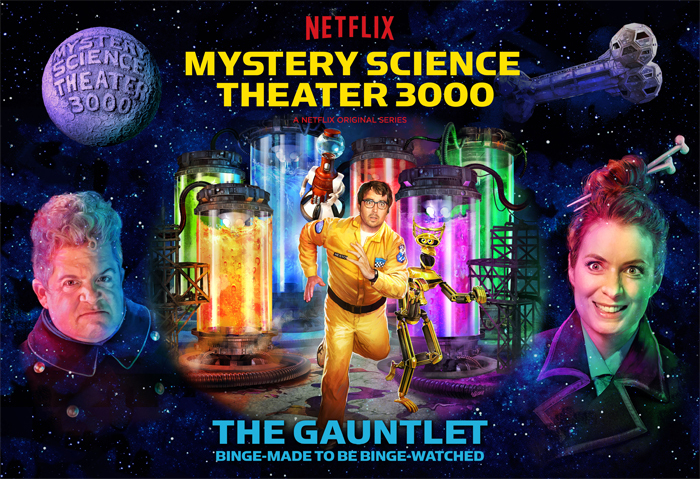 Our brand new season, MST3K: The Gauntlet, is ready to be binge-watched on Netflix. It's a Turkey Day miracle! 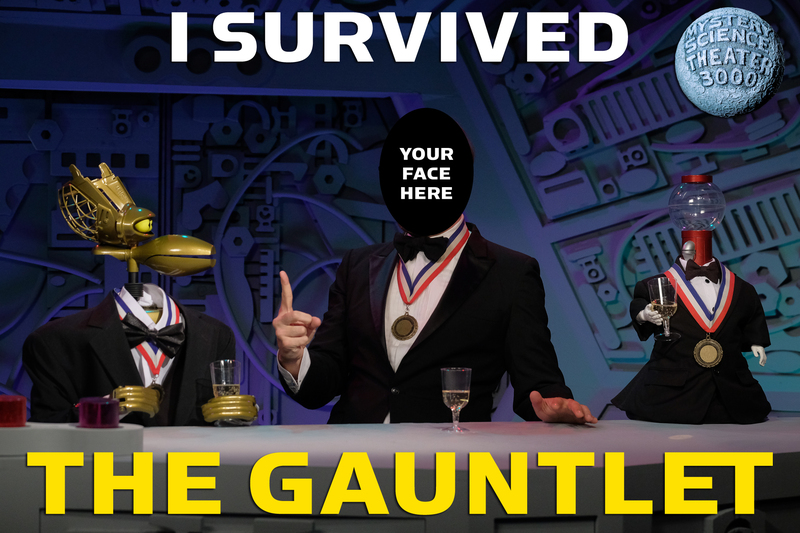 Can you survive The Gauntlet? When you make it through all six episodes, proudly paste a picture of your face onto this image and post it on social media with the hashtag #MST3K to show the world you have what it takes to survive an onslaught of the world's cheesiest movies!